Lithograph of Girard College, Philadelphia, PA, 1840. Financed by its founder's massive endowment, Girard College was one of the most architecturally impressive American schools of the early 1800s. 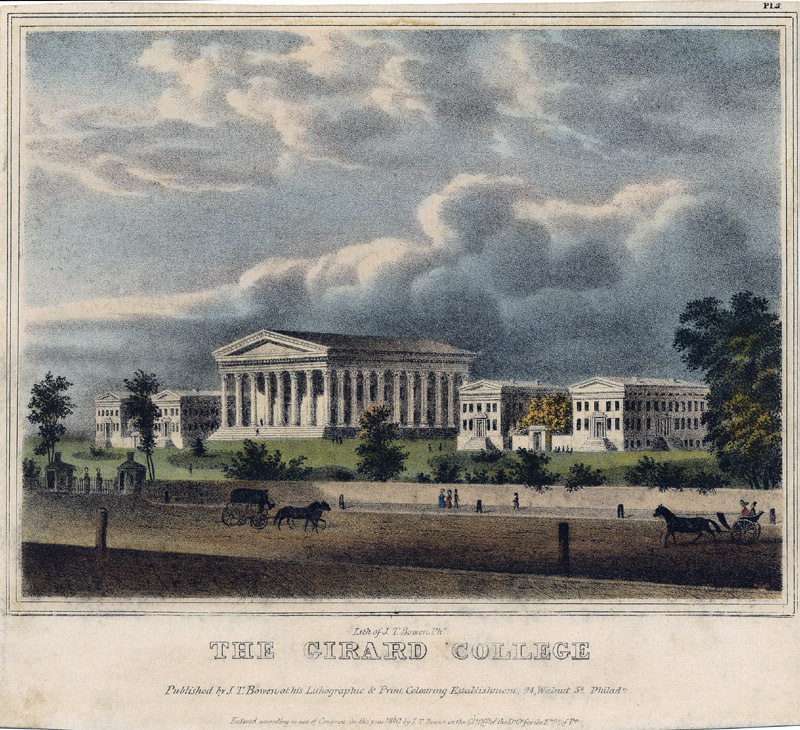 Covering more than forty acres, the campus contained over twenty buildings, including the imposing Greek Revival Founder's Hall, completed for the 1848 opening. In accordance with Girard's will, it was surrounding by an imposing stone wall, ten feet high, capped in marble that walled the campus from the outside world.